If you connect a lot of drives to your Mac—or connect a particular external hard drive to a lot of different Macs—it can all be a lot to keep track of. 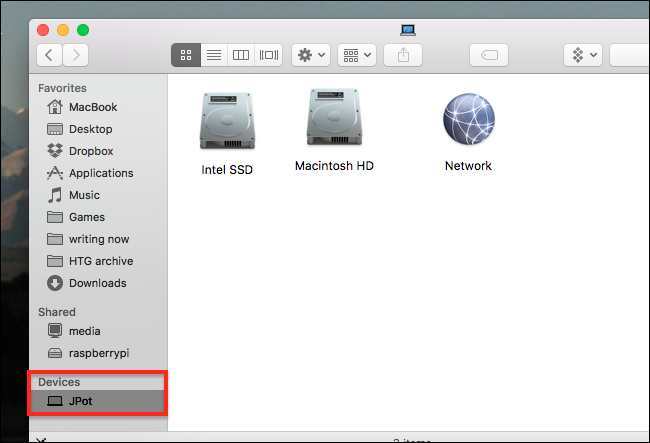 Changing the icon for your drives is a quick way to visually tell them apart. The process is similar to changing folder and application icons, but it’s different in a few key ways. For one thing, the change carries over from one Mac to another, which is great if there’s an external drive you regularly connect to different Macs. In fact, custom icons will even show up the bootloader. So if you’ve installed Windows with Boot Camp or created a USB installer for macOS, a custom icon can make it easier to spot which drive you want. Some external hard drive manufacturers may offer icons to match the drives they sell. Both Lacie and Akitio offer icon packs, for example. Doing so certainly makes it easier to keep track of which drive is which. This forum post has a collection of icons for various solid state drives, including the Intel icon I used in the images above. It’s perfect if you’ve added your own solid state drive to an older Mac, and want to show that fact off a little. DeviantArt has a bunch of hard drive icons, but you’ll have to do some digging. I used this one for my second drive in the first screenshot of this article. IconArchive is another site worth checking out, offering .icns files for basically all of their icons. Beyond this, I suggest doing some Googling. If there’s a specific drive you’d like an icon for, searching for the model with followed by “icns download” or “png” will sometimes give you want you want, assuming someone else took the time to make you an icon. Good luck! If you’ve downloaded a few icons you’d like to try out, lets get started! Open the folder where you’ve stored your icons. Now we’re ready to paste the icon onto our drive. Next, make sure the drive you want to give a custom icon is connected to your computer. Then, open the Finder and click your computer under “Devices.” You’ll see all of your connected drives. This will bring up the information screen for your hard drive. If you click the icon at the top of this window, you will see a blue highlight, indicating that the icon has been selected. You might be asked for your password. Enter it, and the change will take place. Repeat this process for any other drives you’d like to customize. To undo your change, open Get Info for the drive again, then select the icon and hit the Delete key. The icon will revert to the default. In these screenshots I applied custom icons to internal drives, but it also works for external hard drives, including USB flash drives. Even better: in my tests, changing an icon on one Mac will change it on every Mac, so you’ll always be able to quickly find your drive if you’re using another computer.